Hydraulic cylinders are used in a large number of applications to lift, adjust, support, and transport. While many of the standard hydraulic cylinders that are available can be used in a majority of applications, custom hydraulic cylinders are necessary for many important, specific, mission-critical jobs. 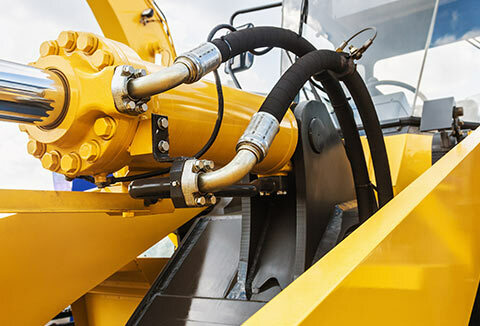 In many cases, hydraulic cylinder manufacturers will modify an existing design in order to create a custom version that is designed to address a specific need. Besides the customization of hydraulic cylinder designs, there is also a version of customization that can deliver greater efficiency – quality engineering. Quality engineering involves closely analyzing a particular application using statistical, mathematical, and operational management methods and then engineering a specific hydraulic cylinder solution that can actually improve the application – providing greater speed, efficiency, flexibility, safety or some other improved or additional functionality. A case study of this is when we quality engineered a single-acting spring return cylinder for Magliner®. Magliner® is a leading manufacturer of product distribution equipment that is used by stores, warehouses, and distributors. Best Metal Products worked with Magliner® to create a reliable hydraulic cylinder for their CooLift delivery system in order to easily raise and lower products without manual work by using a high capacity customized lift system that results in bigger loads, fewer trips, increased safety, and decreased fuel costs. For many companies, a quality engineered hydraulic cylinder can make a huge difference in the effectiveness and efficiency of their equipment – helping to reduce overhead while increasing profitability and customer satisfaction! Contact Best Metal Products today for all of your custom hydraulic cylinder needs!